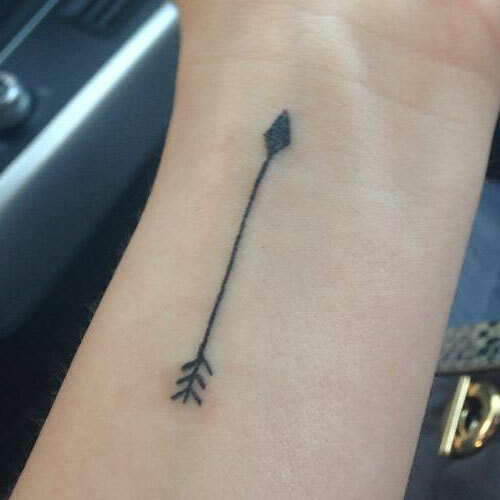 Ashley Rickards had her arrow tattoo redesigned by artist Luc Suter in October 2015. 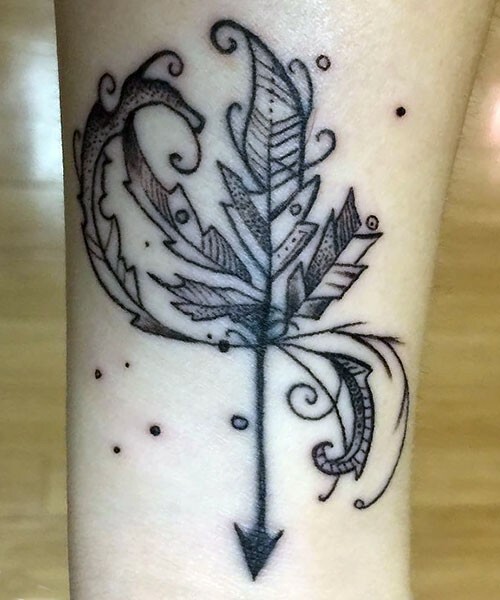 He added leaves, swirls and dots to what was previously just a simple arrow. 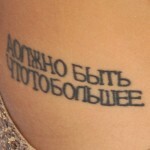 “New ink!! 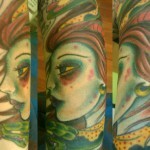 Thanks @lucsuter for bringing this to life!” she wrote on instagram. 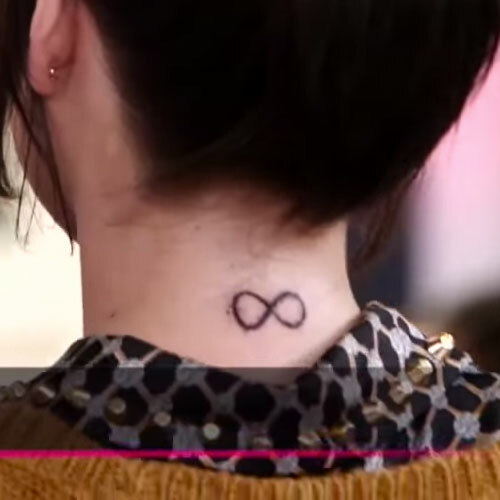 Ashley Rickards’ first tattoo was this infinity symbol on the back of her neck. 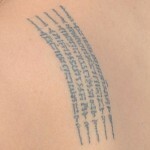 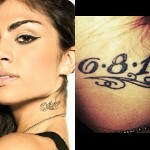 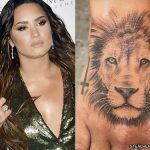 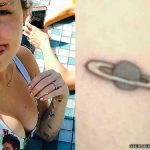 She got the tattoo in October 2013, when she was 21 years old, but she had thought about it for many years beforehand. 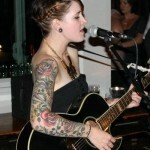 “I’ve wanted that since I was 14,” she told PopSugar.